As graphene already has become one of the most populous advanced materials in 21st Century, its industrial demand is on the rise. There are many application aspects of this wonder material already have unveiled. Among all, perhaps one of the most cited applications could be development of ultramodern high performance graphene reinforced batteries. There are numerous reports already have published and demonstrated the potential use of graphene to enhance battery performance from many prospects. From example, graphene can make batteries lightweight, durable, suitable for high capacity energy storage and shorten charging time. Besides, graphene could extend the battery’s life-time, which is inversely related to the amount of carbon is used to coat the material/electrode or added to electrodes to achieve desired conductivity, and graphene adds conductivity without requiring the amounts of carbon that are used in conventional batteries. Graphene-based batteries are rapidly becoming more favorable compared to their graphite predecessor and others. Graphene battery technology is an emerging fast developing technology that allows faster cycle times and increased electrode density. Graphene also have the ability to retain the charge for longer duration, improve the lifespan of the battery. The core structure of graphene battery technology is similar to that of traditional batteries, where two electrodes and an electrolyte solution are used to facilitate ion transfer process. The prime difference between graphene-based battery and solid-state battery is in the composition of one or both electrodes. The change primarily lies in the cathode, but it is also possible to utilize carbon allotropes in the anode. The cathode in a conventional battery is purely composed of solid-state materials, but a composite and/or hybrid material containing a solid-state metallic/oxide material and graphene is used as the cathode in a graphene battery. Depending on the intended application prospect, the amount of graphene in the composite can vary, the amount of graphene incorporated into the electrode is usually based on the performance requirements and also depends upon the existing efficiencies and weaknesses of the solid-state precursor material. The real graphene battery breakthrough is the incorporation of graphene-lithium-ion hybrid chemistries into the cathodes of lithium-sulfur batteries and other lithium ion batteries. Pure graphene electrodes are not generally used in a graphene battery, many graphene-based electrodes are fabricated and operated in a similar way to conventional batteries. The Li-ion batteries can be also modified and its performance significantly enhanced by introducing graphene to the battery’s anode and capitalizing on the material’s conductivity and large surface area traits to achieve morphological optimization and performance. It has also been discovered that creating hybrid and composite materials can also be useful for achieving ultimate battery performance. For example, a hybrid and/or composite of vanadium oxide and graphene can be used in Li-ion cathodes and grant quick charge/discharge as well as large charge cycle durability. In this case, vanadium oxide offers high energy capacity but poor electrical conductivity, which can be solved by using graphene as a sort of a structural backbone on which to attach VOx/MOx creating a hybrid and/or composite material that has both increases the capacity and excellent conductivity. Another example would be LFP (Li-Iron Phosphate) battery, a type of rechargeable Li-ion battery. It has a lower energy density than other Li-ion batteries but a higher power density (rate at which energy can be supplied by the battery). Enhancing LFP cathodes with graphene allowed the batteries to be lightweight, charge much faster than Li-ion batteries and have a greater capacity than conventional LFP batteries. 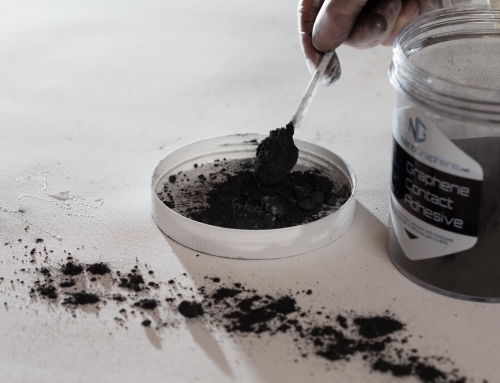 Battery performance is improved by adding graphene to the electrode formulation. Inorganic-based electrodes generally have limitations in terms of density, conductivity, surface area, capacity and capacitance and/or cycle times. In electrodes, graphene works in two general ways, either as a composite/hybrid or as a support material. As a support material, graphene helps to keep metal ions in a regular order, which helps with electrode efficiency. As a composite material in an electrode, graphene is generally involved in the facilitation of the charge itself, where its high conductivity and well-ordered structure are important attributes to provide an improvement against its non-graphene predecessors. The role of graphene in enabling battery application is discussed in the following examples. In the past decades, graphite has been employed as the primary cathode material, where the lithium ions move into the structured holes. However, graphene lacks this capability, but it can store the lithium ions via surface adsorption and induced bonding due to its large surface area. Induced bonding generally occurs during the presence of a graphene derivative and the lithium ions attach to the functionalized surface. 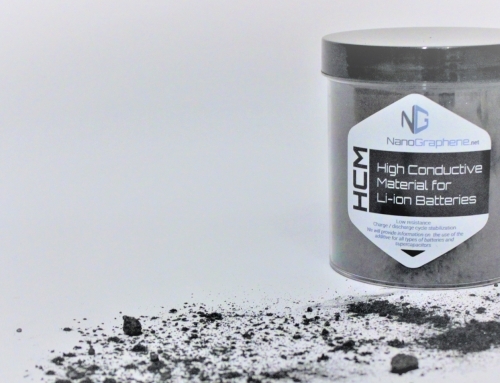 In addition to possessing a large surface area, high conductivity is another key characteristic of graphene electrodes. Many metal oxides traditionally used in batteries have downsides such as low volumetric energy density, low conductivity, and the loss of contact points. Hybridizing different metal oxide’s matrix with graphene can eliminate most of these problems, as a result conductivity becomes greater due to vast improvement in the interaction between the interstitial ions and the hybrid matrix. 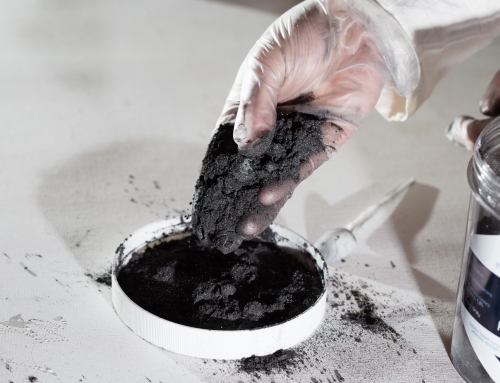 To produce graphene-metal oxide nanoparticle hybrids and/or composites, graphene serves as a template during the process, producing an evenly distributed matrix owing to the regular repeating structure of graphene. This process also limits the aggregation of nanoparticles, promoting the large nanoparticle surface area during the lithium charge and discharge cycles. As such, there is an improvement in the specific capacity and cycling performance compared to pure MO-based electrodes. Graphene-MO hybrid electrodes are capable of exhibiting up to 1100 mAh/g for the first 10 cycles. The specific energy density is maintained at 1000 mAh/g, even after 130 cycles. Lithium sulfur batteries have the potential to substitute lithium-ion batteries in commercial applications, due to their low toxicity, low cost, and the potential for possessing an energy density of 2567 W h kg-1, which is five times higher than that of existing lithium-based batteries. As such, they have gained a lots of interest in current years, but have several significant shortcomings that have prevented them from reaching the commercial market. The first is inorganic salt deposition at the cathode due to the presence of highly soluble reactants in the cell. The salt deposition causes a loss in active material, low utilization of the sulfur cathode, low coulombic efficiency and a degradation of the cycle life. The second major drawback is the inherent low conductivity of sulfur. Using graphene as a support material for the sulfur ions eliminates some of the associated problems in sulfur batteries, thanks to its unique properties, such as a large surface area, high chemical/thermal stability, good mechanical strength, and high electrical conductivity. 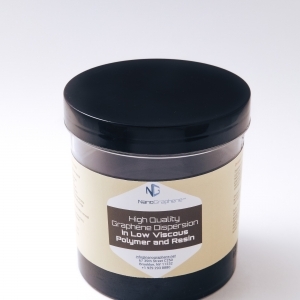 The high surface area provides a good dispersion of sulfur, which controls the mobilization of sulfur ions and eliminates a build-up of sulfur ions on the cathode. 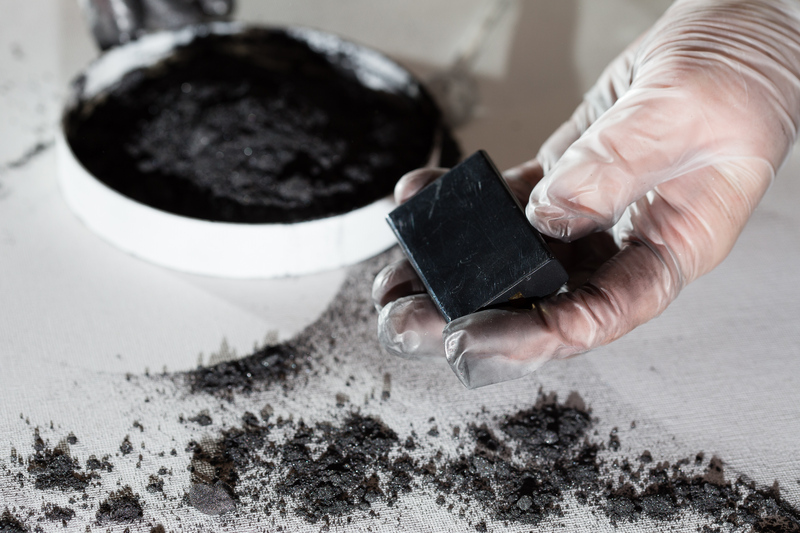 A one-pot synthesis can also be used to produce graphene supported sulfur particles. When compared to graphite, the extraordinarily higher electron mobility of graphene contributes for a lower internal resistance, which not only enables higher charge/discharge rates, but also keeps the temperature lower and increases the lifespan. The performance of lithium-sulfur batteries relies largely on sulfur concentration (and effectively the graphene to sulfur ratio) in the electrode. 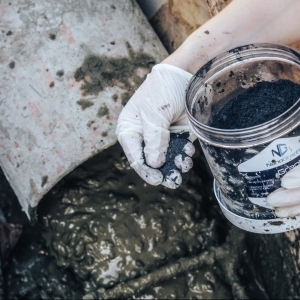 From electrodes produced to date, electrodes containing higher sulfur content deliver the best performance. Electrodes consisting of 63 wt% sulfur have a capacity of 731 mAh/g, with the potential of obtaining up to 1160 mAh/g. The capacity remains at 700 mAh/g even after 50 cycles and is at least double the capacity of other sulfur-graphene electrodes fabricated. They are also stable under high rate cycling. Some degradation of the cell does occur because the sulfur binding has not yet achieved 100% efficiency, but graphene supported sulfur electrodes still demonstrate a vast improvement when compared with non-graphene-based sulfur electrodes. Graphene based battery market size was over US$ 15 million for 2015 along with 20% CAGR (Compound Annual Growth Rate) estimation by 2024. Europe has witnessed substantial increase in the sales of electric vehicles over the past 4 years. More than 150,000 electric vehicles were sold in Europe for 2015, up from 70,000 electric vehicles in 2014. Rising demand for portable electronic devices will drive global graphene battery market share; with over 65% of the U.S. adult population owing a portable electronic device during 2015, up from 35% in 2011. Ongoing research to increase the shelf life, efficiency and quality will effectively drive industry share. Strict government regulations to curb carbon footprint has stimulated the graphene battery market share to a great extent; with these products classified as low emission versions. In 2008, the U.S EPA introduced the National Emission Standard for Hazardous Air Pollutants (NESHAP) to regulate the battery manufacturing process. NESHAP section 112(c) (3) lists battery manufacturing area to be regulation pursuant as it involves use of lead and cadmium. 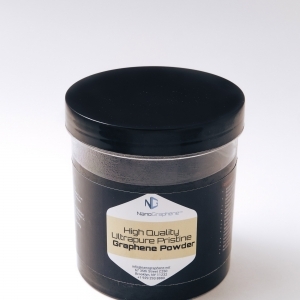 Graphene Stakeholders Association (GSA), a worldwide non-profit organization is working with Nanotechnologies Technical Committee and International Organization for Standardization (ISO) to introduce standards for producing dependable, efficient and user-friendly products. 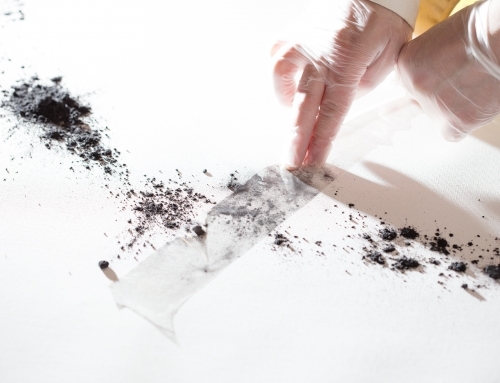 Introduction of standards will stimulate the graphene battery market during the forecast period. Standardization will restructure the industry demand in an organized manner. The United States graphene battery market size was valued above US$ 3 million in 2015 and looks set to grow significantly, subject to its high quality at affordable prices. Adoption of electric vehicles in the U.S increased from over 5000 in 2011 to over 70,000 in 2015 subject to increasing government subsidies and growing environment awareness among customers. In 2015, China market size was valued over US$ 1 million and will witness growth over 15%. Japan market size will grow over 25% till 2024. Established distribution channels coupled with increasing customer awareness will positively impact the sector. Japan was one of the first countries in the world to adopt electric vehicles for public transport. The Norway market share is likely to witness strong growth owing to high penetration of electric vehicles coupled with favorable government initiatives towards adoption of low emission technology. More than 20% of automobiles in Norway are electric or hybrid vehicles, and the government intends to subsidize the industry to further reduce the carbon footprint. The UK graphene battery market size for 2015 was valued at over US$2 million and will witness a significant growth during forecast period. The government has introduced strict regulations on the use of batteries with bio-hazardous content, propelling demand. Graphene based electrode materials for rechargeable lithium batteries-Journal of Materials Chemistry (DOI: 10.1039/B901551E).